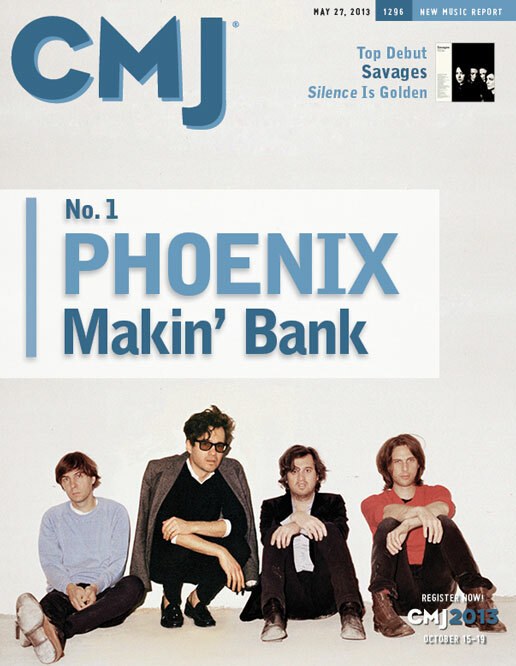 Congrats to Phoenix for making the #1 spot on CMJ's Top 200, not once, but twice. Starting with issue 1296, the Parisian foursome began a two week run besting a number of stalwart bands used to topping the charts. Bankrupt! is our second go-round with the band and also their second album with their label, Glassnote Records.